Sometimes it is simply not possible or practical to have a face to face meeting. Sometimes a telephone conversation or email exchange is not appropriate. Communication is vital in business between team members and clients alike. 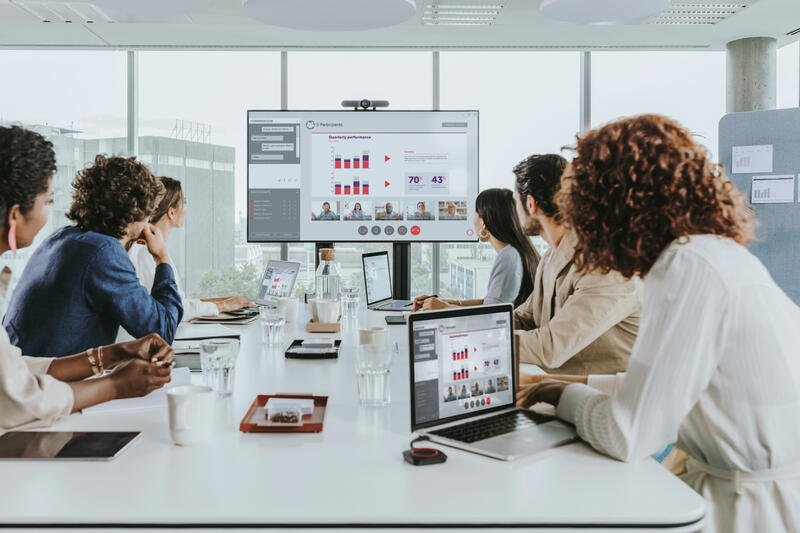 Video Conferencing allows you to conduct effective meetings with clients and colleagues around the world, removing such obstacles as travel, expense, unproductive time and most importantly ‘YOUR CARBON FOOTPRINT’. Newlandmedia’s wealth of experience in the field of video conferencing and video conferencing installation means they are able to help you design supply and support the very best solution for your conferencing needs. Video Conferencing – Conference with audio & video allowing a face to face meeting between 2 or more people. If you are interested in Newlandmedia’s Video Conferencing Solutions please do not hesitate to contact us. North East and National coverage.